Whoa Daddy!! Sure sure 93 points and a jaw-snapping price like this is usually enough to get us wondering if we should buy one case or two, but the sheer expanse of the fruit and deep, ripe, deliciousness is utterly amazing in this new discovery - wow! We taste a lot of Aussie wine and this is the steal of the year!! 93 points might be a little low. This is racy, complex, and packed with perfectly ripe, juicy cranberry and baked cherry, with soft, silky tannin and a mouthful of complex spices and a cool toasted nut and citrus rind flavor that just keeps your mouth and brain mesmerized. We love it. Shockingly great for $15!! Throw in free shipping and you easily move into “massive no-brainer” territory. Our advice? Move move MOVE! Not a lot to go around!! You will love it! Located in the picturesque Clare Valley of South Australia. Kirrihill is a progressive and innovative wine business dedicated to producing exceptional quality wines. Our story began as vineyard developers and owners of vineyard holdings throughout the Clare region and into other premium cool climate regions such as the Adelaide Hills. As we continued to grow and develop our vineyard projects through the 90’s, we watched our vineyards mature and the thought of passing over the maturing fruits of our labor became harder to relinquish each vintage. In 1999 our determination to realize our vision of Kirrihill Wines was completed with the building of a state of the art winery to complement our now mature vineyard resources in the Clare Valley and Adelaide Hills. 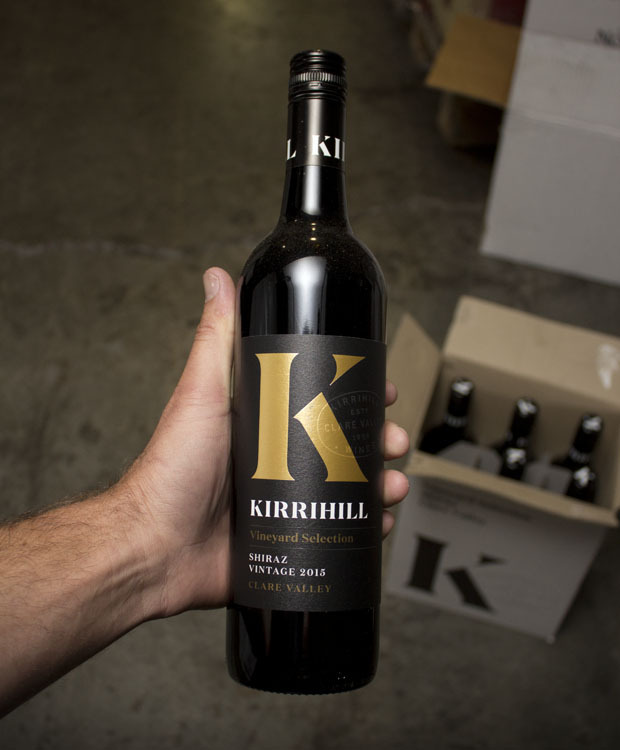 The drive for quality continues today, with the Kirrihill team dedicated to not only producing stunning hand-crafted wines that over deliver, but also to raising the bar with every vintage. This resolve has seen Kirrihill honored with more than 500 awards, both domestically and internationally, since its first vintage in 2000. The Kirrihill team are a passionate bunch of individuals working together and striving to create wines for all occasions. From our viticulture team to the winemaking team, cellar door through production and sales, the Kirrihill family are about people and place. The people signifies our friends, family and community and our place is the Clare Valley.